To find the articles, click on the locations. You find a topographic 'Map of Thailand' under the link. Read also the 'Article on Thailand'. You also find a 'List of all Articles on Thailand' under the link. 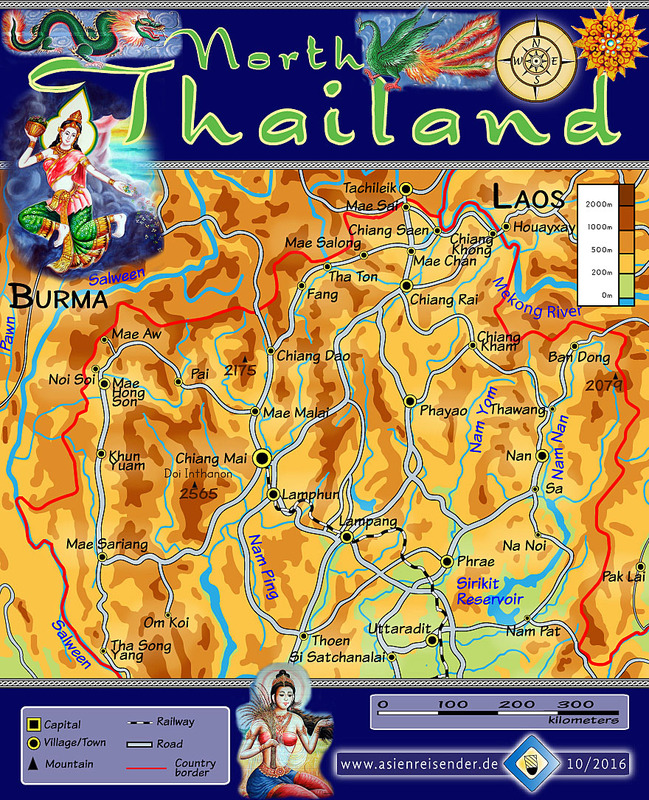 The images on the map are temple paintings of Wat Luang and others in Chiang Khong.